Dell - Latitude E4300 Genuine Original Dell LA-4151P Latitude E4300 Intel Core 2 Duo Mobile 2.53GHz SLGER Laptop Motherboard JAL10 LA-4151P J791R 0J791R CN-0J791R.
. - Stretch Marks Intensive Action 2.53-ounce Cream Help reduce the appearance of existing stretch marks. The patented ingredients improve the quality of the skin to help keep skin firm and supple. Moisturizing ingredients soothe sensitive skin and provide a sense of comfort. Lexar - Lexar JumpDrive Fingerprint F35 64GB USB 3.0 Flash Drive 256bit AES Encryption Model LJDF35-64GBNL USB Specification: USB 3.0 Color: Black Read Speed: up to 150MB/s Dimensions: 0.31 x 0.81 x 2.53 Weight: 0.05 lb. 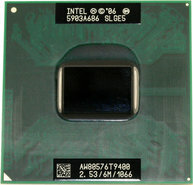 Intel - SLGE5 T9400 Intel Core 2 Duo Processor T9400 (6M Cache 2.53 GHz 1066 MHz FSB). Prepare yourself for a new level of laptop productivity with the T9400. Offers two cores and 2.53GHz of raw computing power. IBM - 46D1354 46D1354 IBM Intel Xeon E5540 Quad Core 2.53GHz 1MB L2 Cache 8MB L3 Cache 5.86GT S QPI Socket B LGA-1366 45NM 80W Processor Only For Systems X3400 M2 X3500 M2 X3400 M3 X3500 M3. New Bulk Pack. Hewlett Packard - 508343-B21 508343-B21 HP Intel Xeon E5540 Quad-Core 2.53GHz 1MB L2 Cache 8MB L3 Cache 5.86GT S QPI Socket-B 45NM Processor Kit For PROLIANT DL180 G6 Server. New Bulk Pack. Hewlett Packard - 638019-B21 638019-B21 HP Intel Xeon E5649 Six Core 2.53GHz 1.5MB L2 Cache 12MB L3 Cache 5.86GT S QPI Speed Socket FCGLA 1366 Processor. New Bulk Pack. Intel - BX80605X3440 BX80605X3440 Intel Xeon X3440 Quad Core 2.53GHz 1MB L2 Cache 8MB L3 Cache 2.5GT S DMI Socket LGA-1156 45NM 95W Processor Only. New Bulk Pack. Hewlett Packard - 587478-L21 587478-L21 HP Intel Xeon E5630 Quad Core 2.53GHz 1MB L2 Cache 12MB L3 Cache 5.86GT S Qpi Speed Socket Processor. New Bulk Pack. 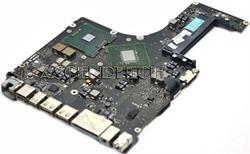 Apple - MacBook Pro 15.4" A1286 Apple MacBook Pro 15.4 A1286 Intel Core P8700 2.53GHz SLGFG Processor Logic Motherboard 820-2533-B. Hewlett Packard - 637349-L21 637349-L21 HP Intel Xeon DP Six Core E5649 2.53GHz 1.5MB L2 Cache 12MB L3 Cache 5.86GT S Qpi Socket FCGLA-1366 Processor. New Bulk Pack. Hewlett Packard - 492244-B21 492244-B21 HP Intel Xeon E5540 Quad-Core 2.53GHz 1MB L2 Cache 8MB L3 Cache 5.86GT S QPI Socket-B LGA 1366 45NM Processor Complete Kit For DL380 G6. New Bulk Pack. Hewlett Packard - 637410-B21 637410-B21 HP Intel Xeon E5649 Six Core 2.53GHz 1.5MB L2 Cache 12MB L3 Cache 5.86GT S Qpi Speed Socket-FCGLA1366 Processor Kit For Proliant BL460C G7 Server. New Bulk Pack. Hewlett Packard - 509322-L21 509322-L21 HP Intel Xeon E5540 Quad-Core 2.53GHz 1MB L2 Cache 8MB L3 Cache 5.86GT S Qpi Socket-B Processor. New Bulk Pack. Intel - SLBF6 SLBF6 Intel Xeon E5540 Quad-Core 2.53GHz 1MB L2 Cache 8MB L3 Cache 5.86gt S Qpi Socket-B LGA-1366 45NM 80W Processor.New Retail Factory Sealed With Full Manufacturer Warranty. Intel - AW80576GH0616M AW80576GH0616M Intel Core 2 Duo T9400 2.53GHz 1066MHz FSB 6MB L2 Cache Socket PGA478 Mobile 45NM 35W Processor. New Bulk Pack. Hewlett Packard - 633418-B21 633418-B21 HP Intel Xeon E5649 Six-Core 2.53GHz 1.5MB L2 Cache 12MB L3 Cache 5.86GT S QPI Socket-B LGA1366 32NM 80W Processor For Proliant DL380 G7 Server. New Bulk Pack. Hewlett Packard - 637349-B21 637349-B21 HP Intel Xeon E5649 Six Core 2.53GHz 1.5MB L2 Cache 12MB L3 Cache 5.86GT S Qpi Socket-B Processor. New Bulk Pack. Hewlett Packard - 641466-001 641466-001 HP Intel Xeon E5649 Six Core 2.53GHz 12MB L3 Cache 5.86GT S QPI Speed Socket-B Processor. New Bulk Pack.